The EU Council has extended its targeted sanctions against Venezuela until 14 November 2019. Restrictions include an embargo on arms and on equipment for internal repression. 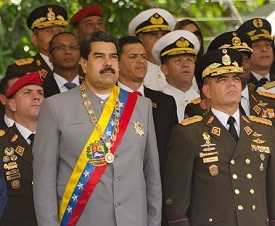 Venezuela is subject to both US and EU sanctions as a result of repeated violations of individual freedoms by the Maduro government and concerns that recent elections lack legitimacy. The deprivations of the economic crisis, such as shortages of food and medicine, have caused many to flee the country. The Department of the Treasury’s Office of Foreign Assets Control (‘OFAC’) has issued two FAQs to assist exporters.